The global iGaming market is a highly competitive arena where only the top-quality software companies get a chance to lead the way by setting examples. In the recent years, the online gambling world has been going through a lot of changes and the profits grow at the speed of light year after year. However, only a couple of game suppliers and online gaming software companies are strong enough to fuel the market and here’s the list of those that are “nailin’ it”. Known as the world’s largest online gaming software supplier, Playtech offers extraordinarily designed games ranging from progressive slots to some of the most popular titles in the iGaming universe – Marvel slots. Playtech is famous for their innovative products as well as for developing their own poker platform and bingo software. Thanks to their superb content and data-driven optimization they have managed to become one of the leaders in iGaming. Unless you’ve been living under a rock for the past 20 years, chances are you’ve heard about NetEnt. That is, if you are interested in iGaming at all. If that is the case then you are surely familiar with the name NetEntertainment, since they are one of the pioneers in online gambling. Founded in 1996, the brand became famous for their simple interfaces, appealing designs and user-friendly management system. Another online gaming giant and the world’s first online casino software producer is known under the name Microgaming. They provide software solutions to several hundreds of online gaming brands and their products come with amazing sound and advanced graphics. Whether you decide to play progressive or regular video slots powered by Microgaming, you’ll definitely be one step closer to hitting a jackpot if you spin the reels at Microgaming’s amazing games such as Mega Moolah and Immortal Romance. As a global Internet sports betting company, Betfair creates various sports betting and iGaming products for players all over the world. The company operates as a betting exchange, offering service in divisions such as sports betting, online casino, pokers and bingo. In 2016, Betfair merged with Paddy Power thus forming an international, multi-channel sports betting corporation. Best known for offering top-quality sports betting services, William Hill is also famous for being present on almost every important iGaming market around the globe, including US, Italy, United Kingdom, Spain, Australia and so on. Besides sports betting, the company provides online casino games, bingo, poker and ‘skill’ games. They have over 2,300 betting shops and therefore they represent around 25 per cent of the market in the United Kingdom. 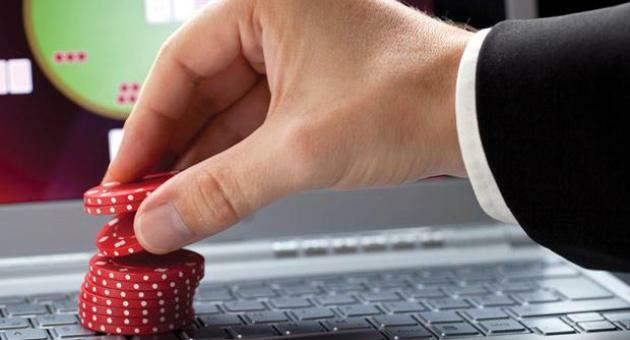 Malta-based online gambling operator Kindred, formerly known as Unibet, consists of 11 different brands which allows them to provide solutions for sports betting, casino games and poker. With over 10 million satisfied customers around the world coming from 100+ countries and more than 600 employees, Kindred is registered on Nasdaq Stockholm stock exchange located in Sweden. Kindred’s massive network offers fair play entertainment across all devices including smartphones, iOS, Android phones, laptops and desktops. As of April 2018, their customers can use Kindred’s newly launched online gambling ad blocker tool which will protect them from gambling ads. Once known as Amaya, the Stars Group is a company which produces online gaming products like poker, casino and sportsbook through their various online brands. Headquartered in Toronto, Canada, the company covers both B2B and B2C segments by focusing on developing, operating and implementing innovative technologies combined with existing potential in iGaming markets. The Stars Group is also the owner of prestigious PokerStars Championship, MEGASTACK live poker tournament and PokerStars Festival. The above-mentioned companies are examples of successful iGaming brands which doesn’t mean that other firms not listed in the article will not be joining them very soon.